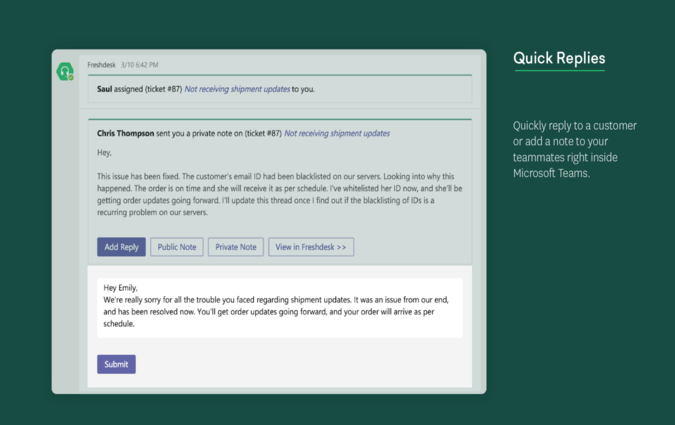 The Microsoft Teams app for Freshdesk gives you instant notifications on important ticket related events. It makes sure you always stay updated on the tickets assigned to you in Freshdesk while you’re collaborating with your co-workers on Teams. The Freshdesk bot will be the central place where you can access and monitor important ticket related information. 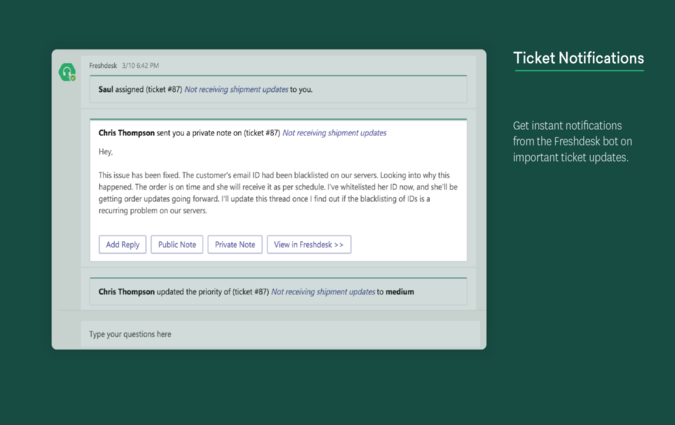 The ticket notifications will be sent as conversations by the Freshdesk bot, and you’ll be able to add quick replies or notes to your tickets directly from Teams. Note that you’ll receive these updates only when the concerned ticket is assigned to you or if you’ve been added as a watcher on that ticket. 3. 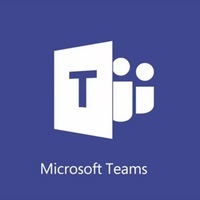 Once you choose Microsoft Teams, simply click on the icon and hit ‘Install’ and provide your Microsoft account credentials. 4. Please remember to complete installation of the Freshdesk bot on the Microsoft app store to get the integration to work.